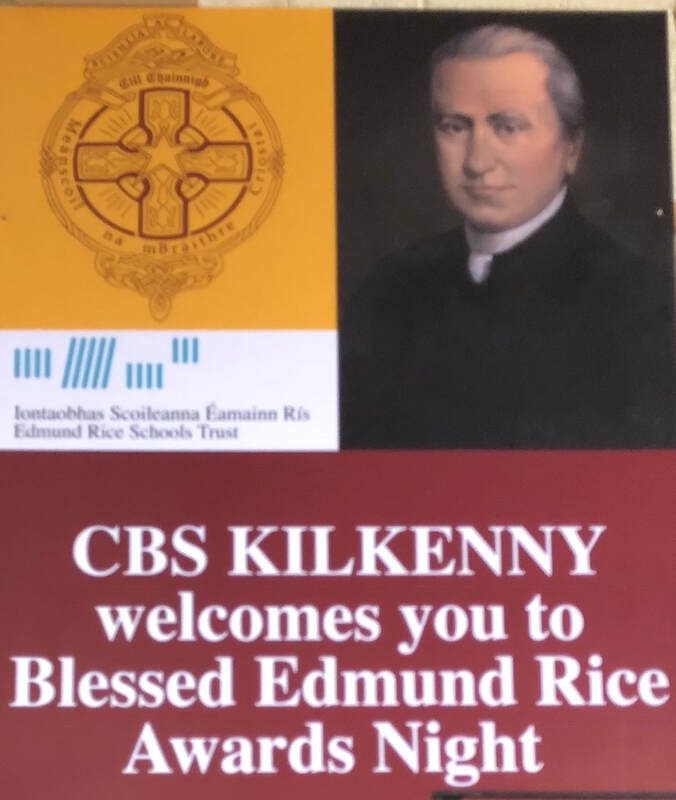 Many congratulations to our students who were honoured at the annual Blessed Edmund Rice Awards Night on May 16 2018. 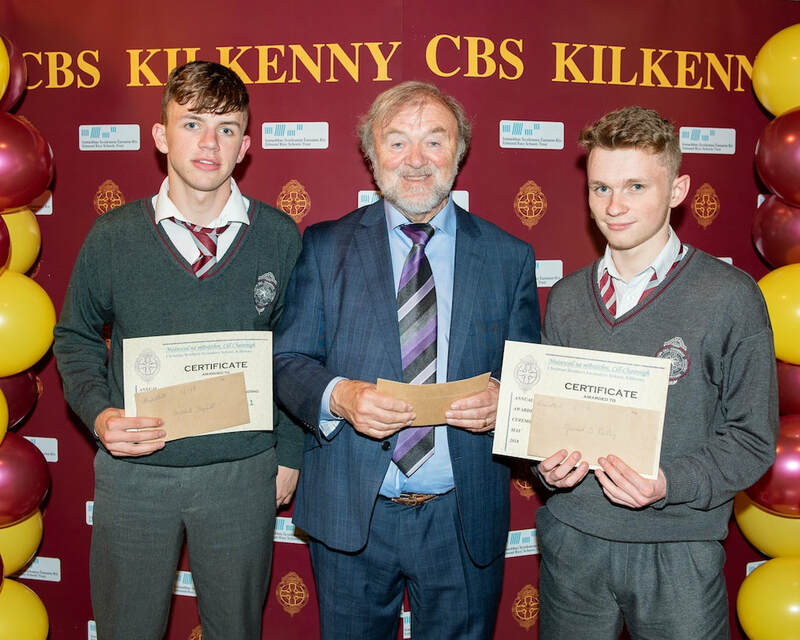 Each year, this occasion gives us an opportunity to celebrate the skills and talents of our students, their sporting prowess, their leadership in issues of environmental conservation, charitable and social justice, their skills in debating, drama, art, music and many other areas across school life. 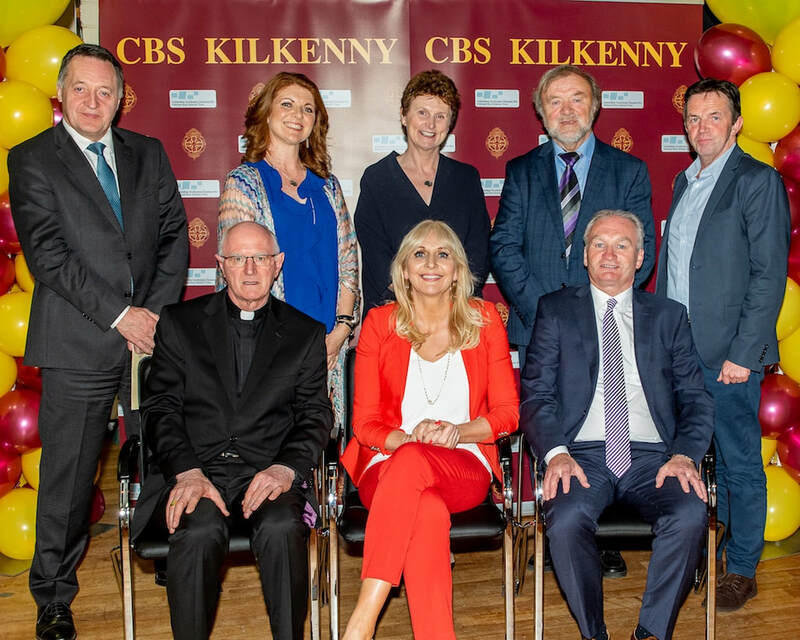 There to celebrate with us on the night was top broadcaster and presenter Miriam O'Callaghan and our neighbour, the recently appointed Bishop of Ossory, Dermot Farrell. 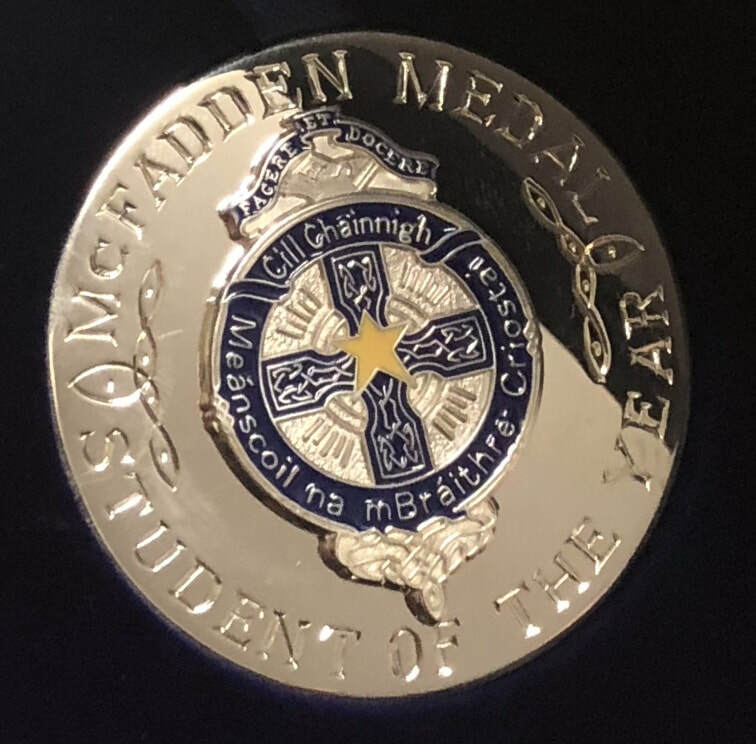 School Chaplain Fr Jim Murphy opened proceedings with a prayer and the pipe band played a beautiful rendition of Amhrán na bhFiann. 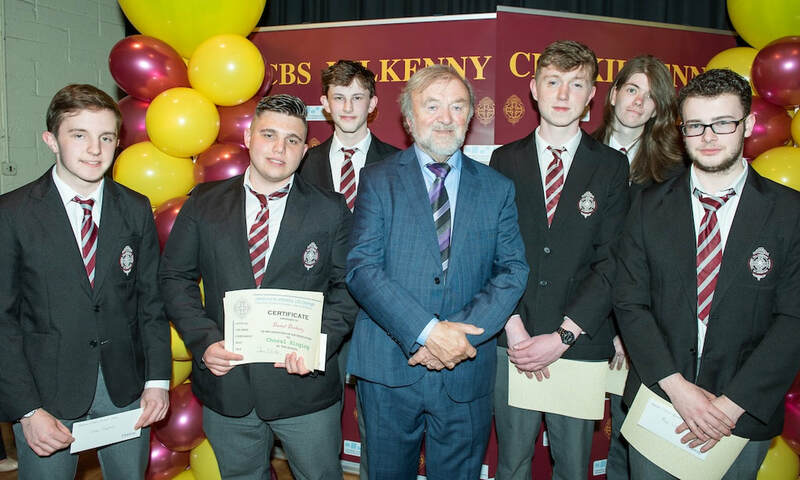 Principal Tom Clarke warmly welcomed our esteemed guests and the student award winners and their parents and guardians. 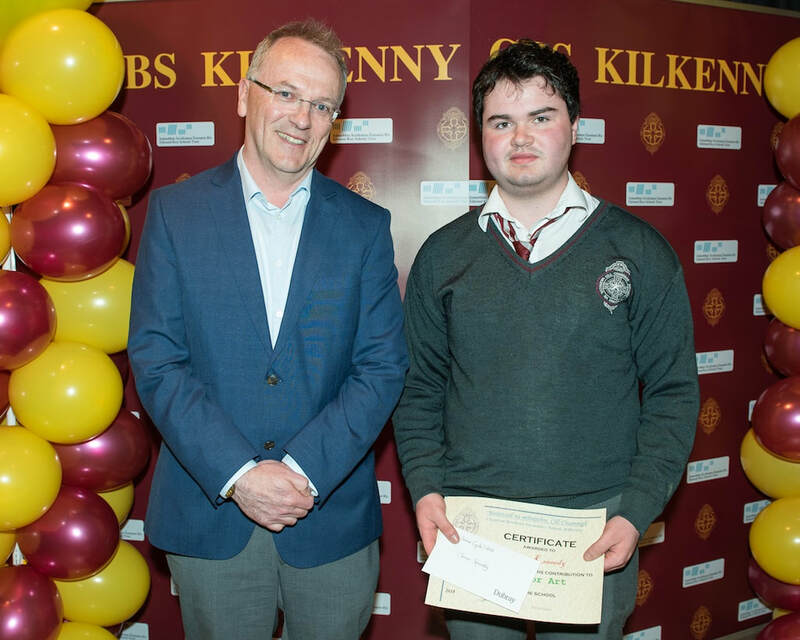 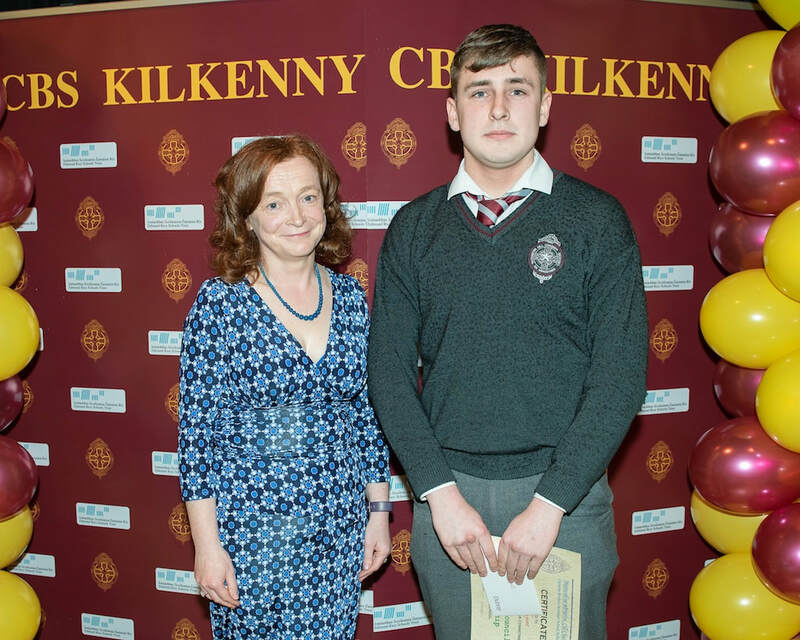 Sadly missed on the night was Colm Dunne, our recently deceased TY student. 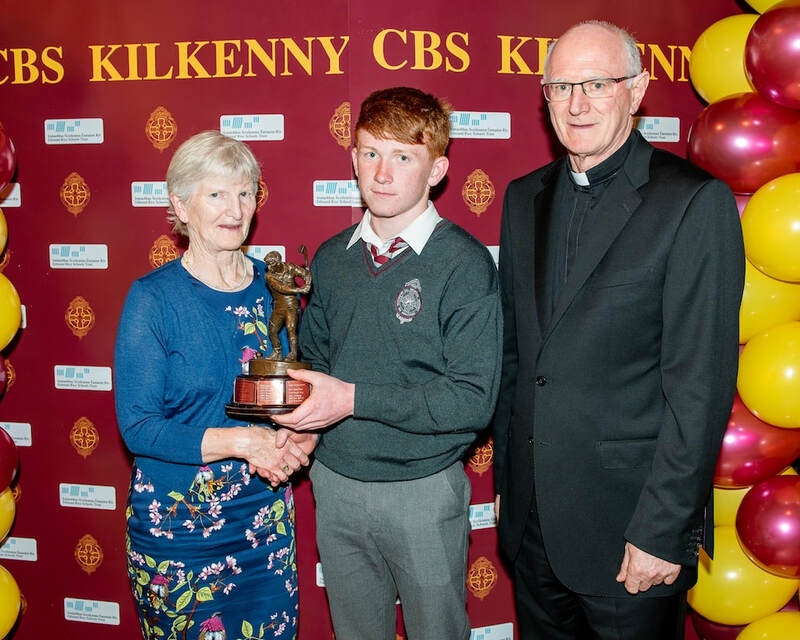 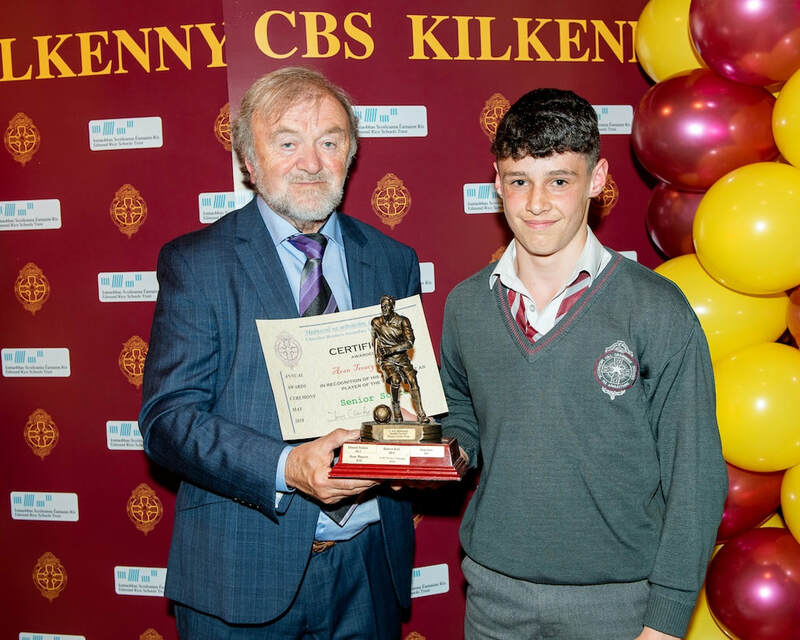 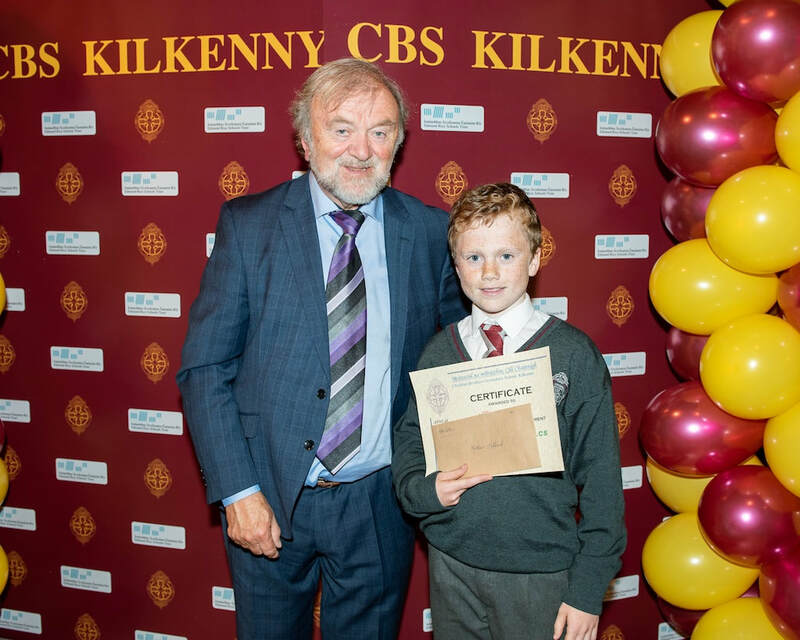 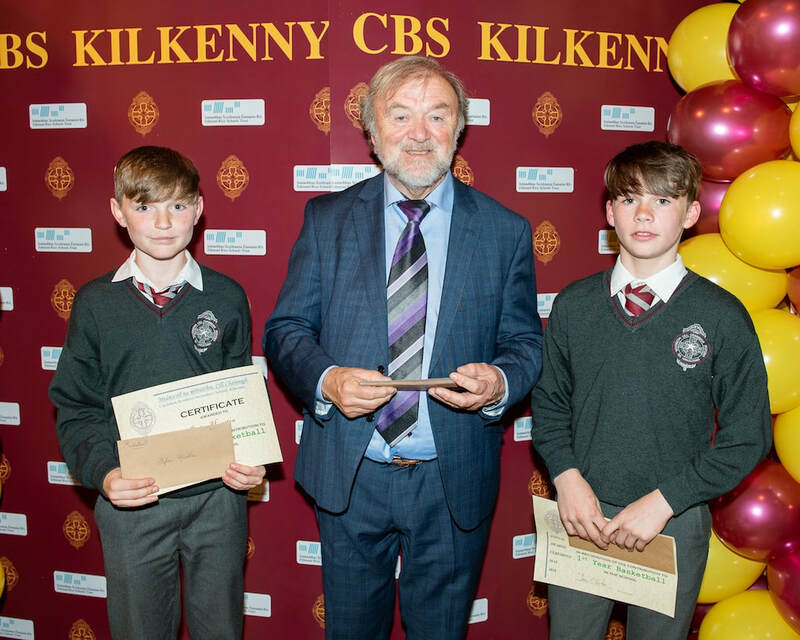 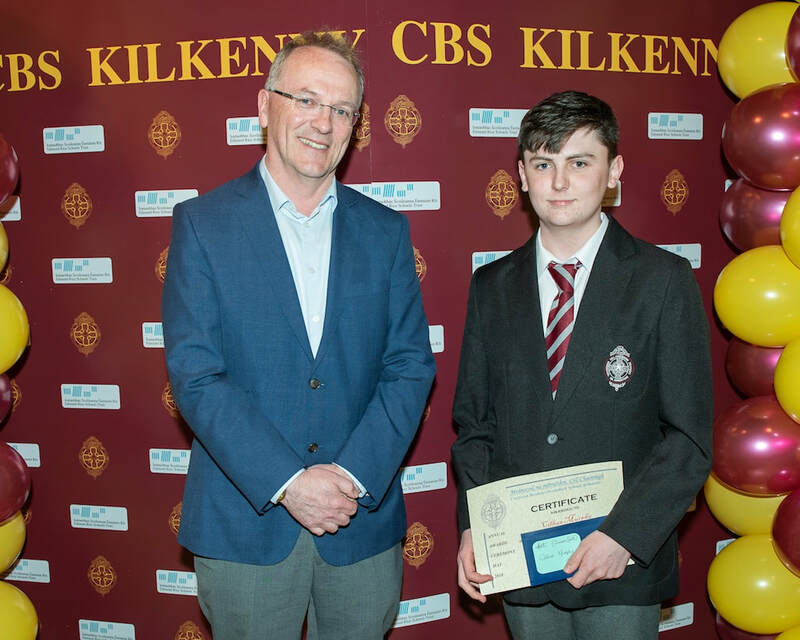 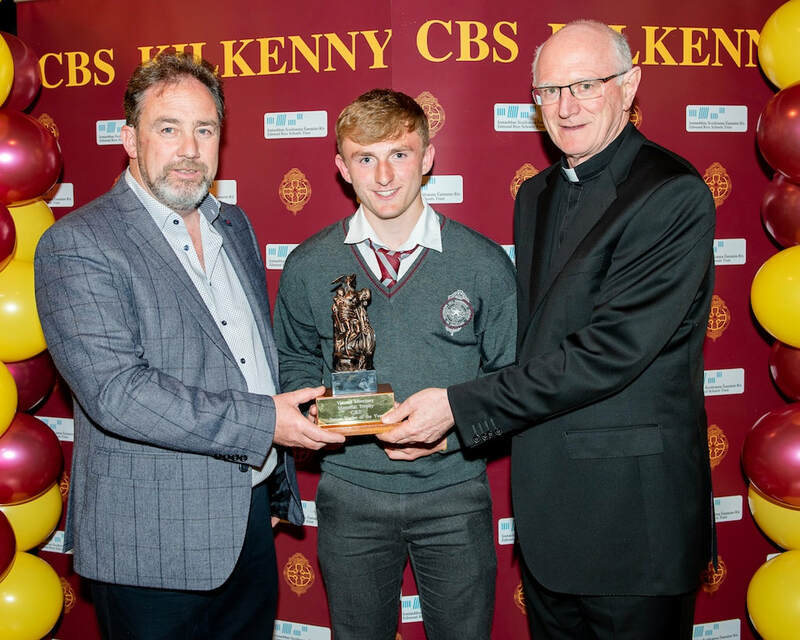 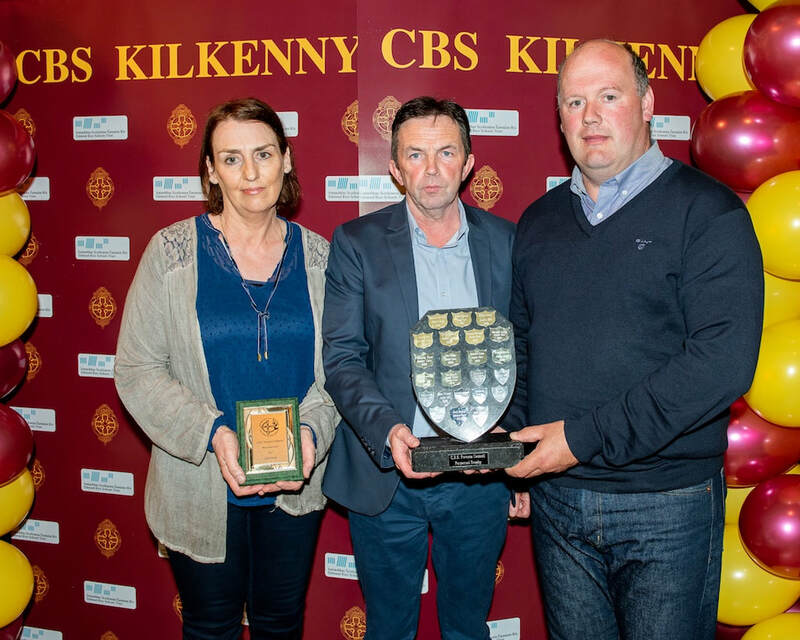 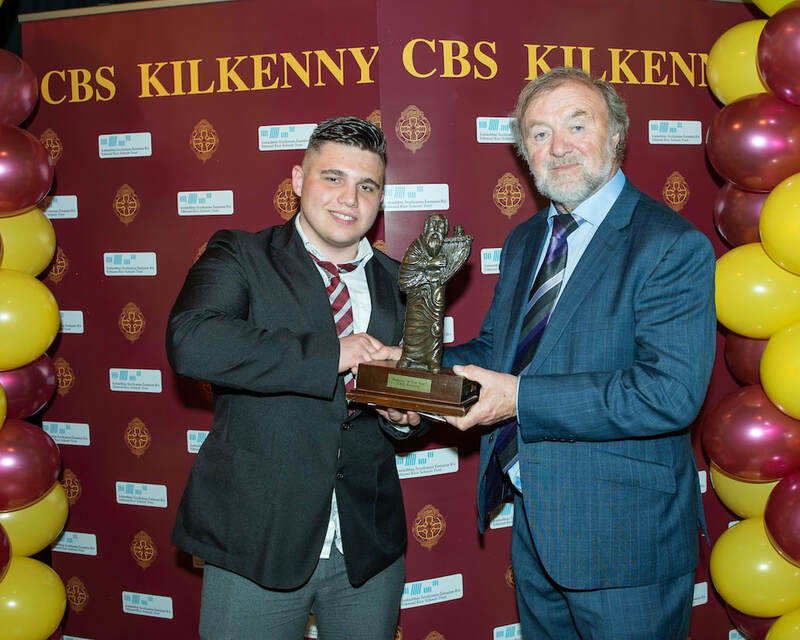 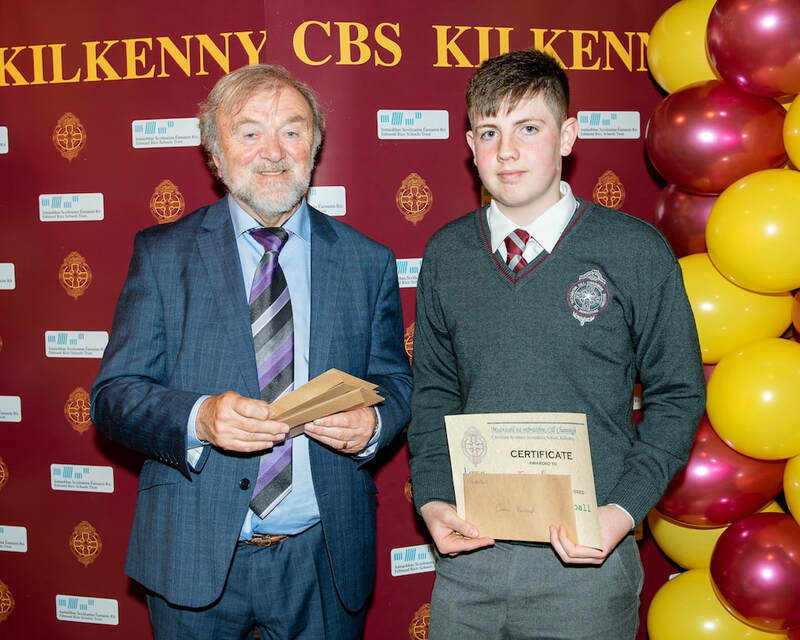 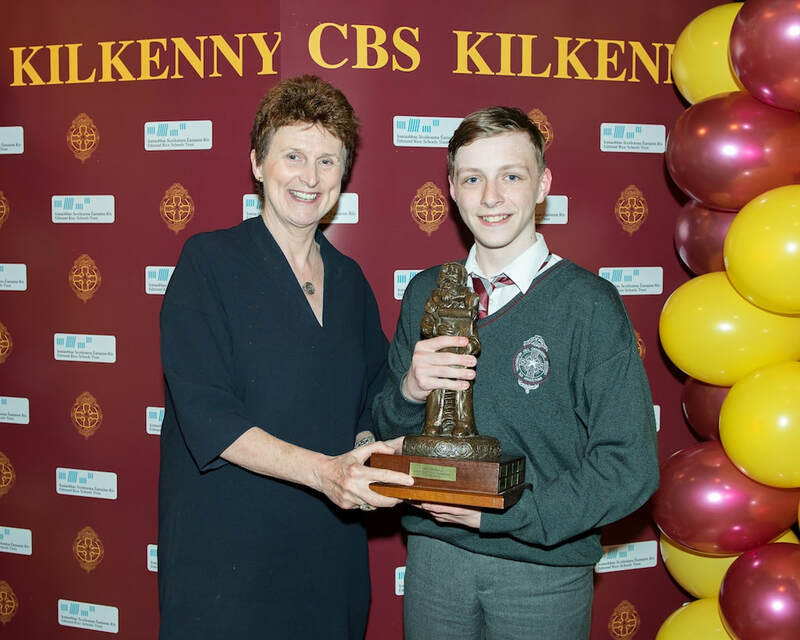 We are delighted that there to represent Colm on the night were Tony and Eileen, his parents, and Peter his brother, who collected numerous awards on behalf of Colm. 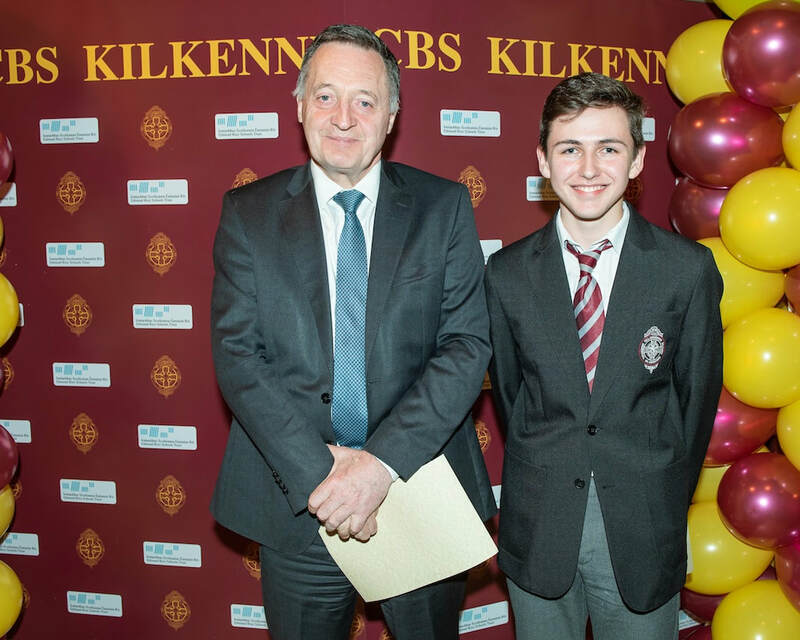 Mr Clarke thanked all of the students for their generosity with their talents and for representing the school with distinction. 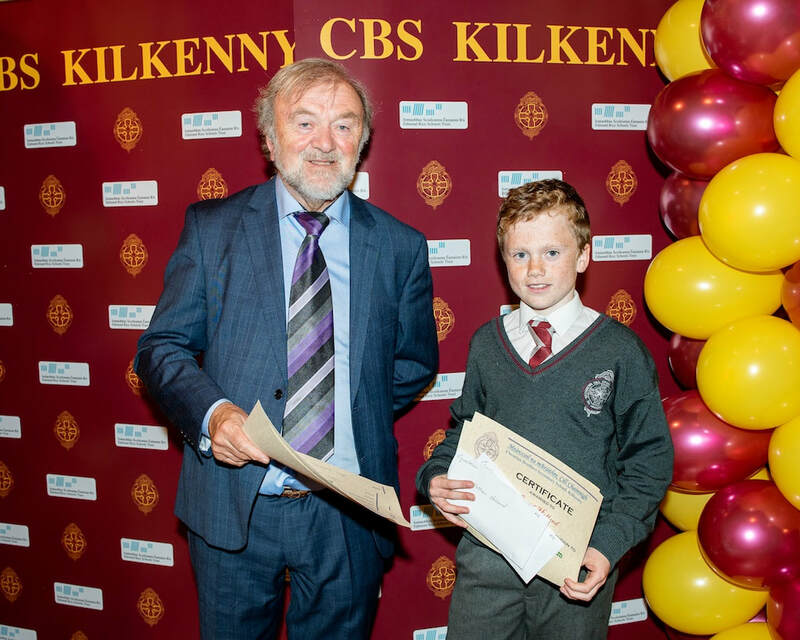 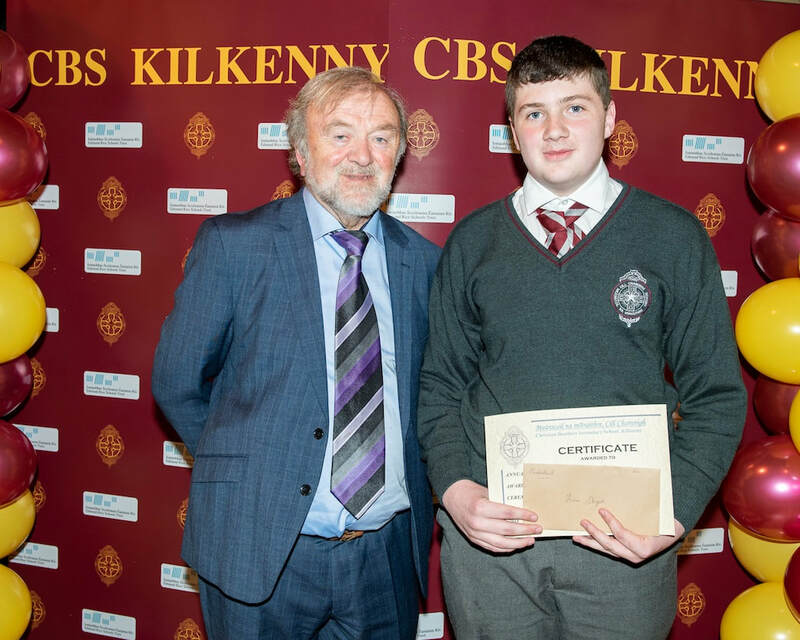 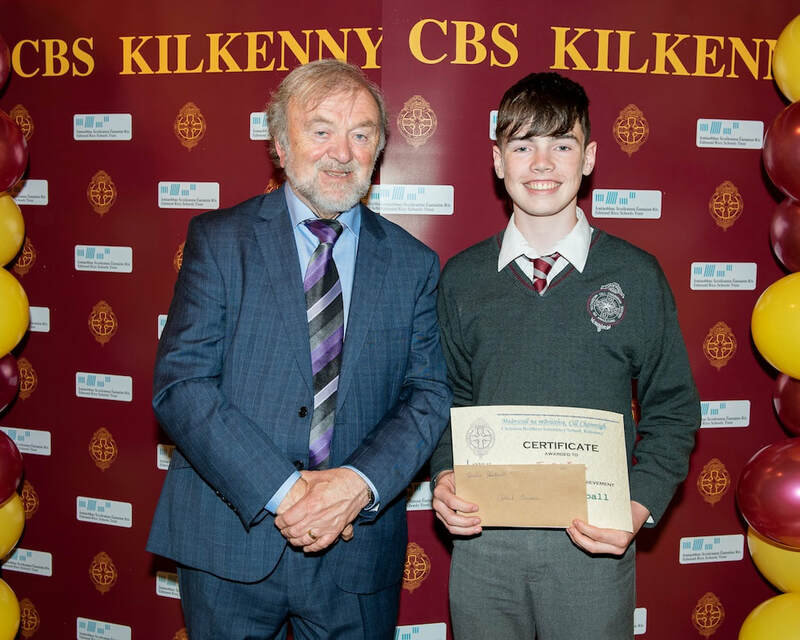 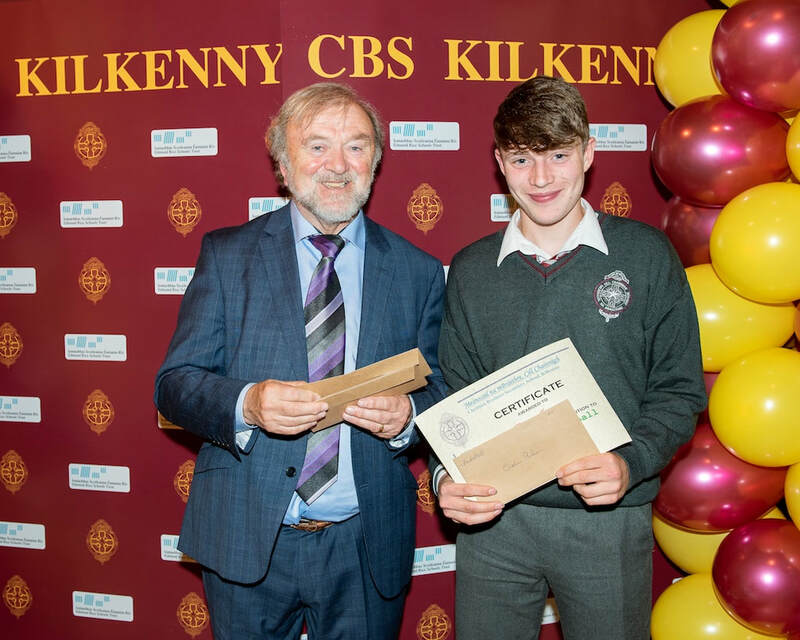 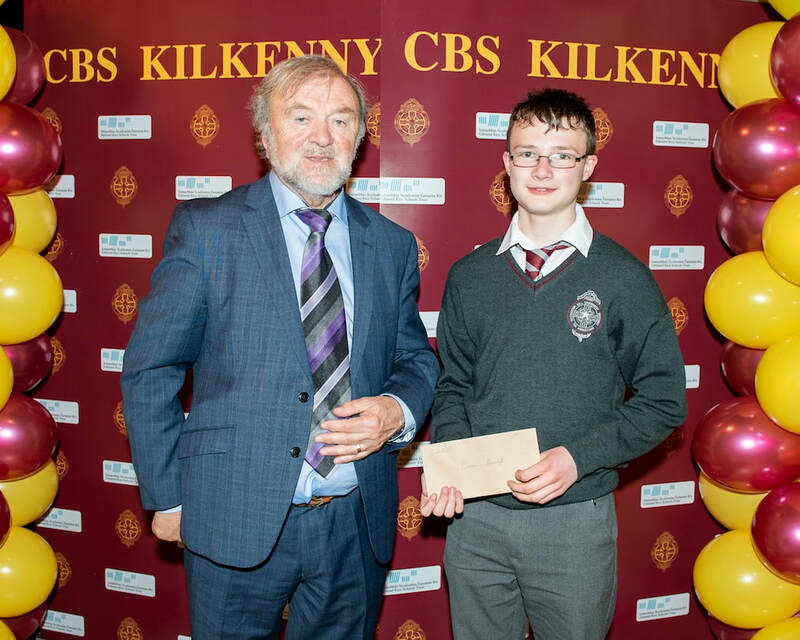 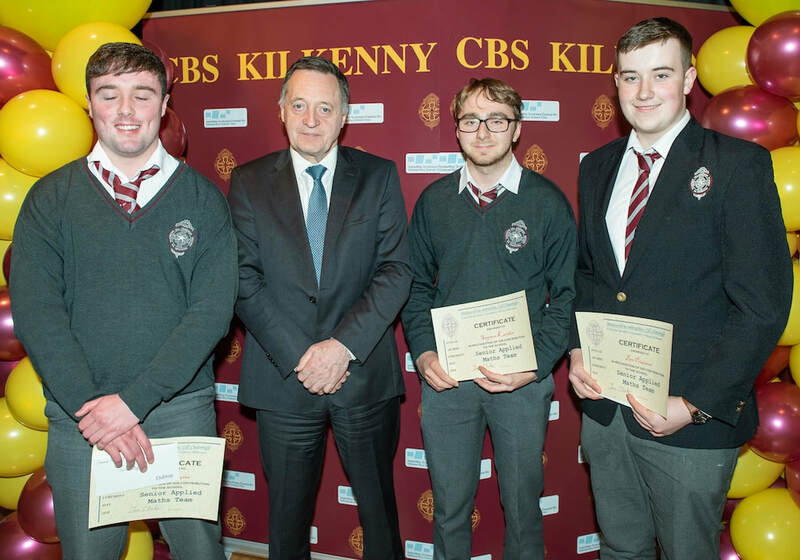 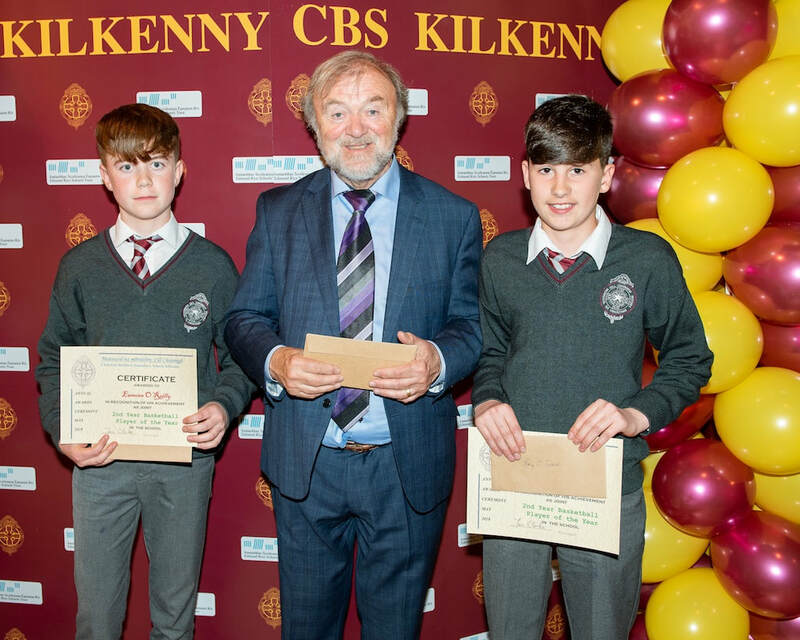 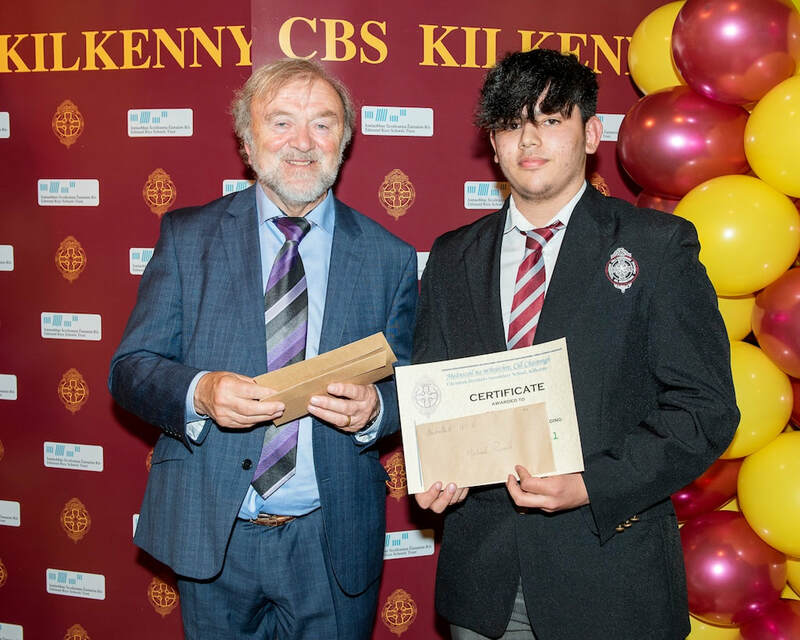 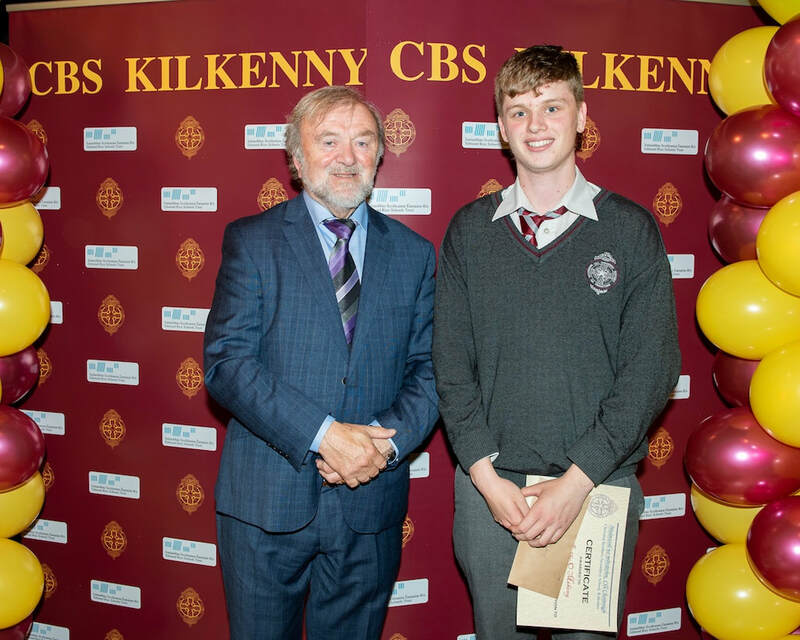 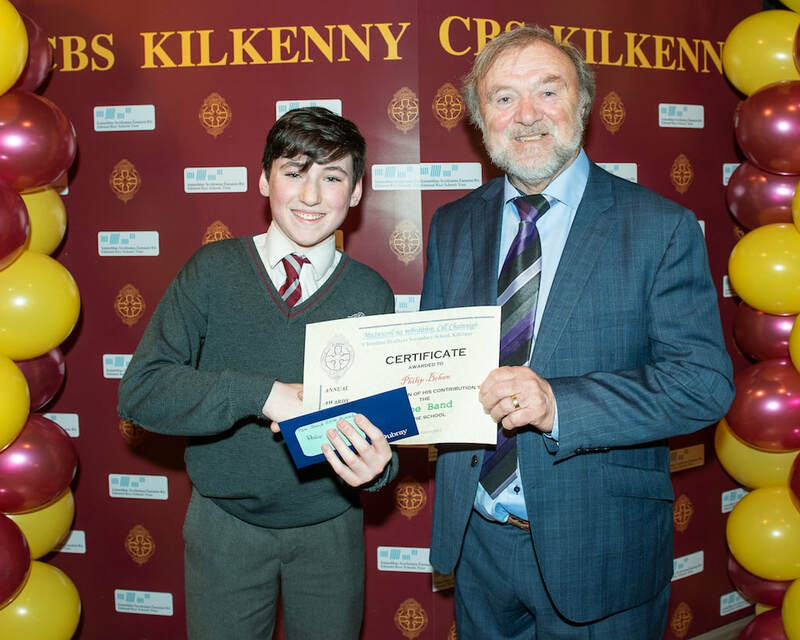 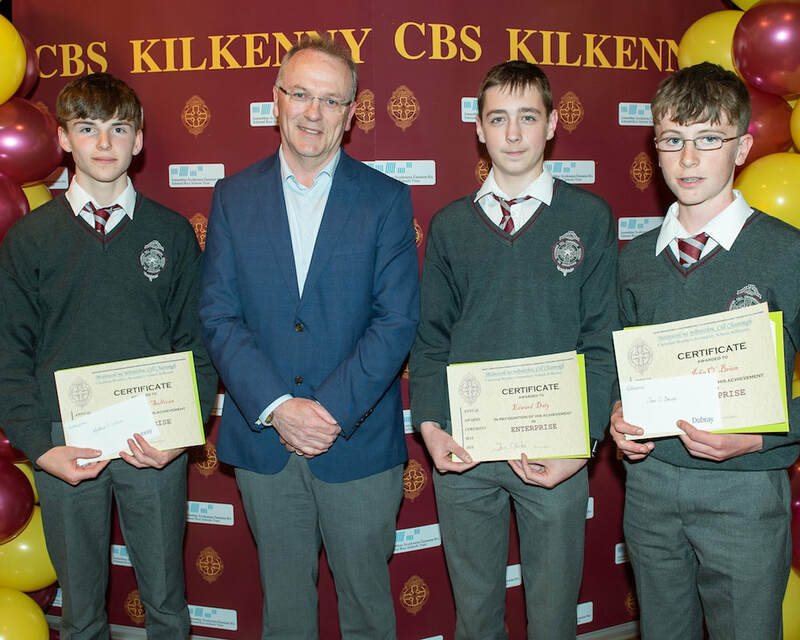 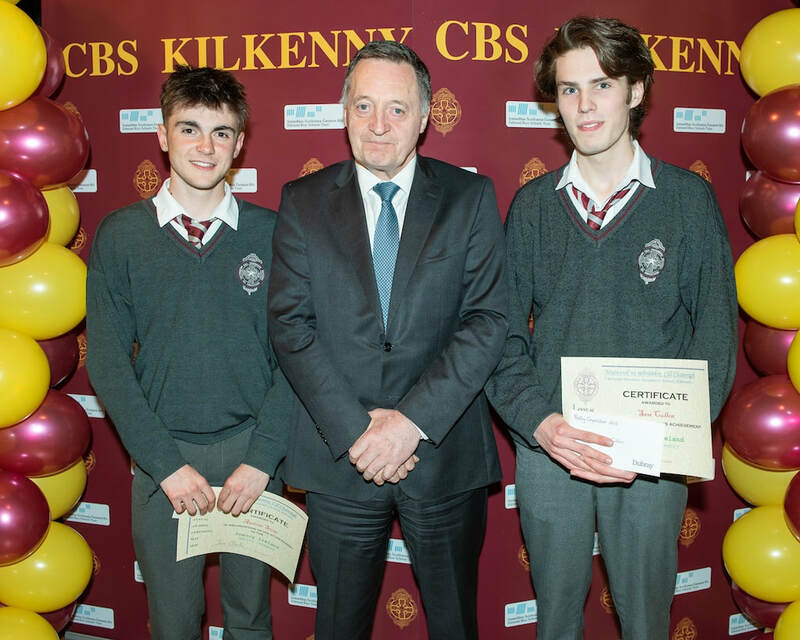 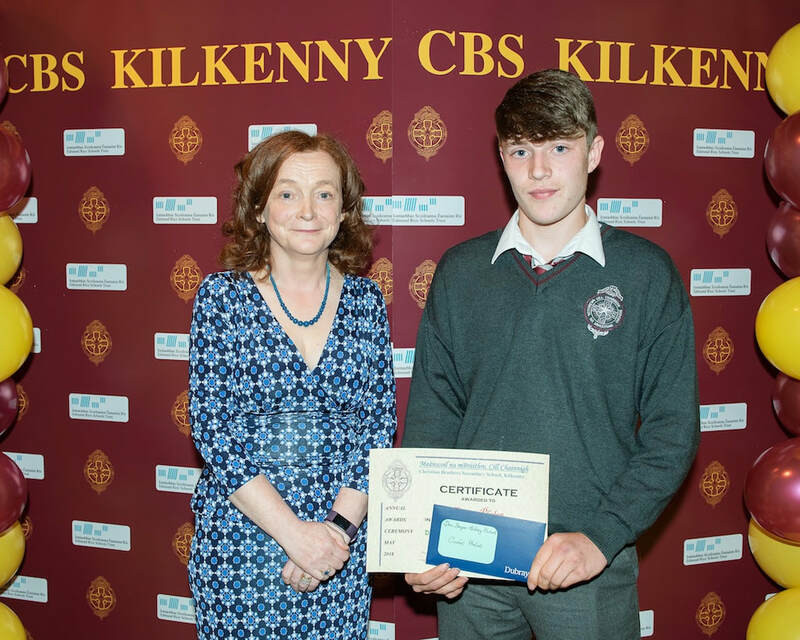 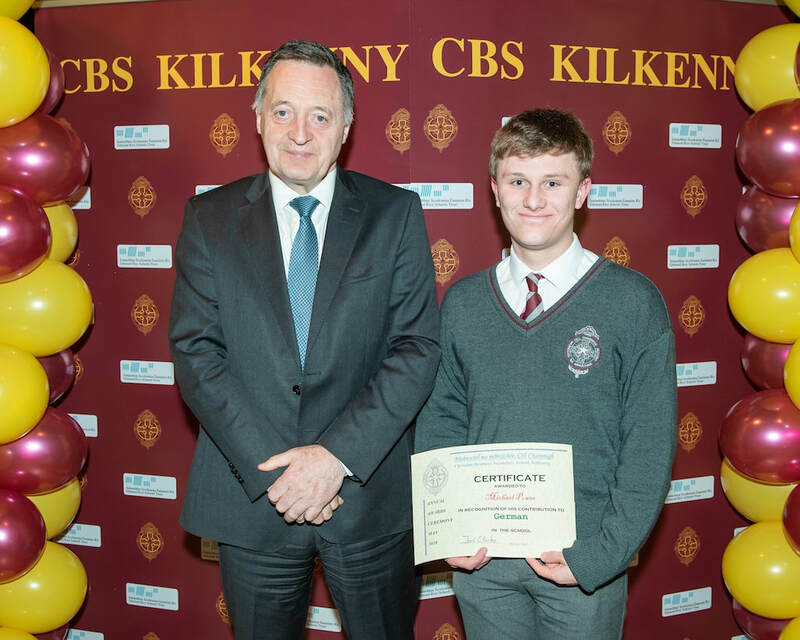 In turn, he warmly thanked all stakeholders in the school community, the Board of Management, the Parents Council, the Student Council and all of the staff at CBS Kilkenny, for supporting the students in our care and for giving them every opportunity to develop their talents and to develop holistically as individuals. 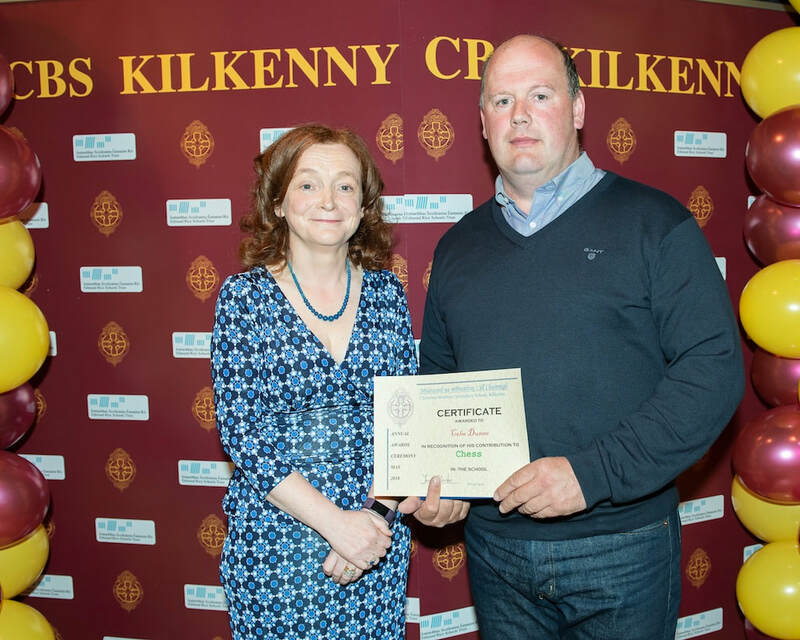 Later in the evening, Mr Clarke thanked Lucy Heary, our outgoing Chairperson of the Parents Council, for all of her hard work leading the Parents Council for several years. 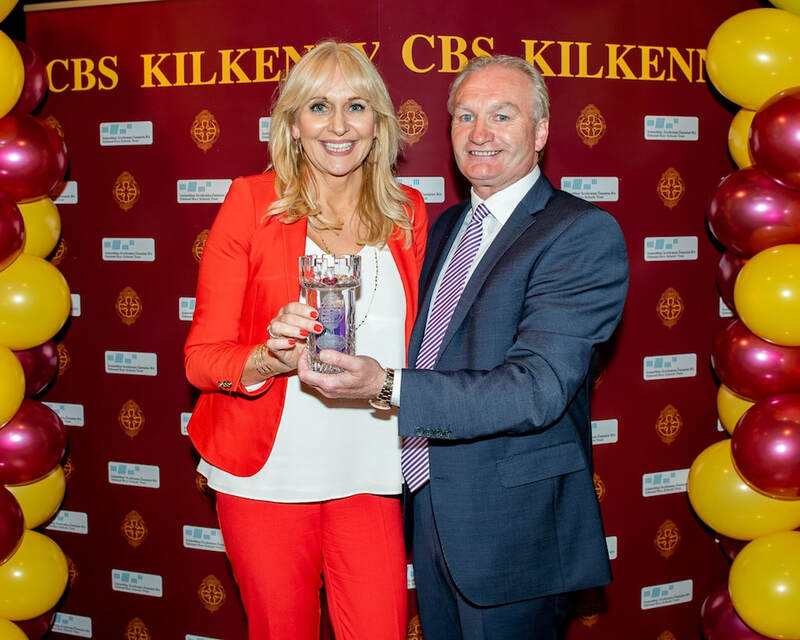 Miriam O'Callaghan spoke most engagingly about her upbringing and her parents and family. 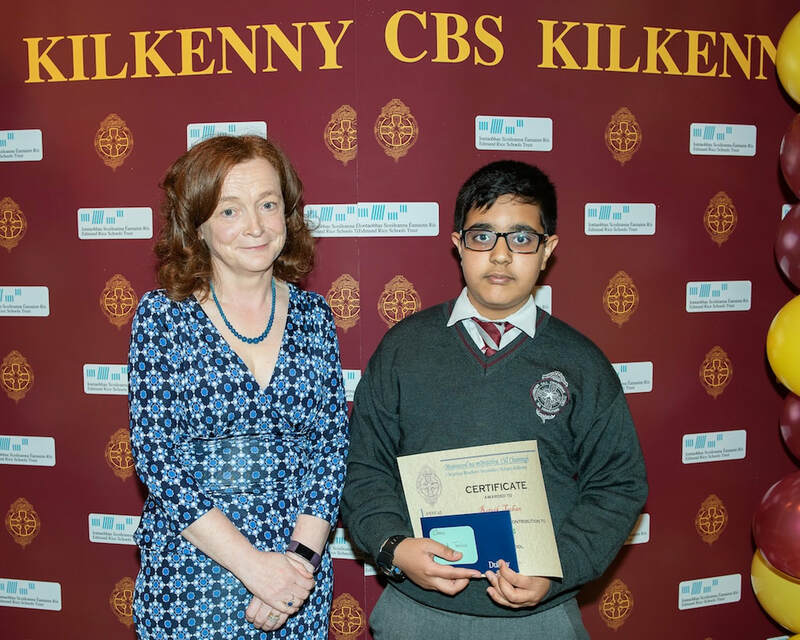 Miriam believes that after love, education is the best thing a parent can provide for their child. 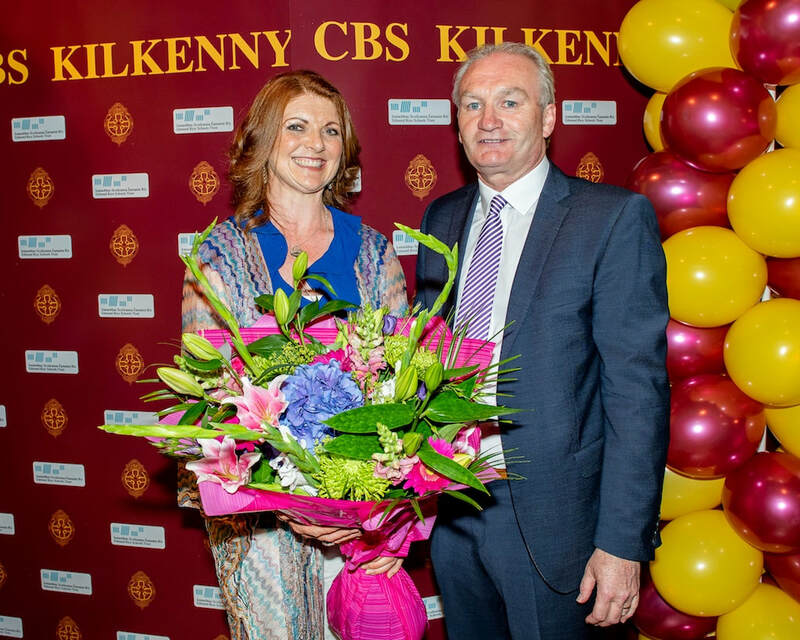 Education was highly valued in her family growing up and she is very grateful to her parents for that. 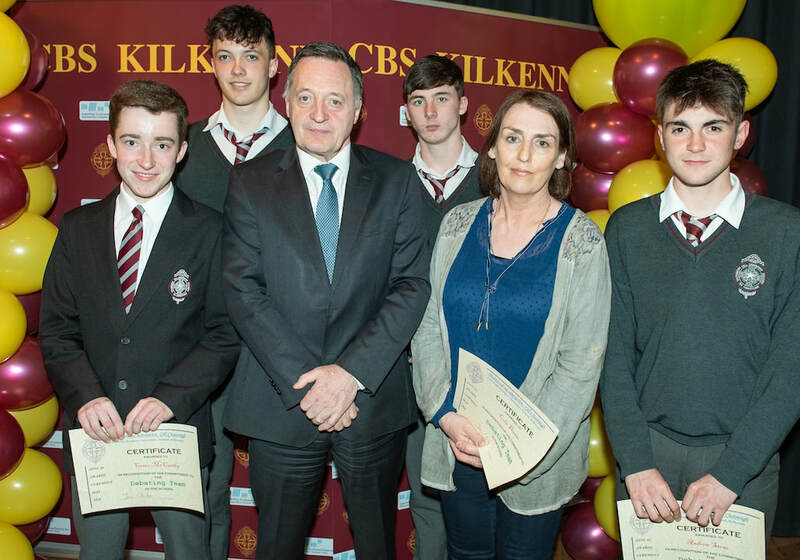 Miriam congratulated all of the award winners and their parents/guardians, and she imparted three important pieces of advice to them which she has learned from life experience. 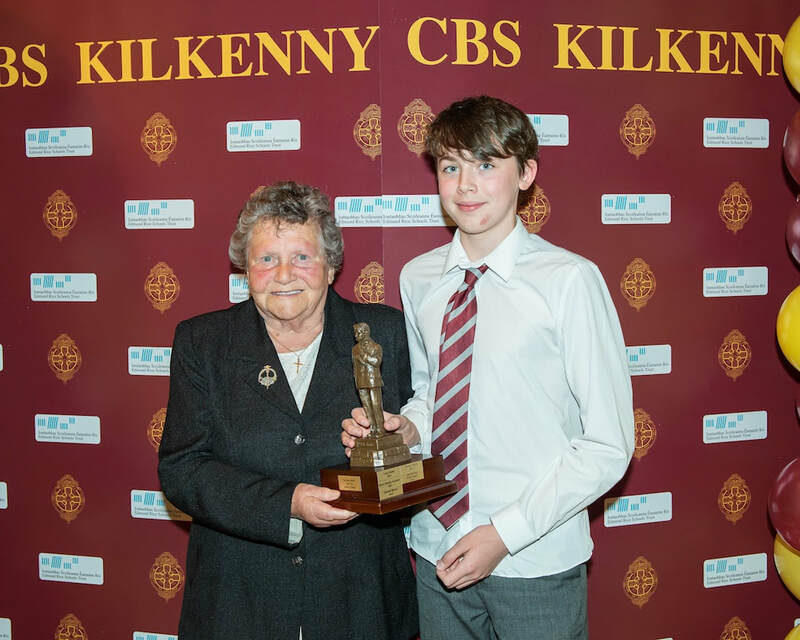 Miriam advised them first and foremost to be kind to others because kindness will always return to the giver, to work hard and to enjoy their lives, because the years pass so quickly. 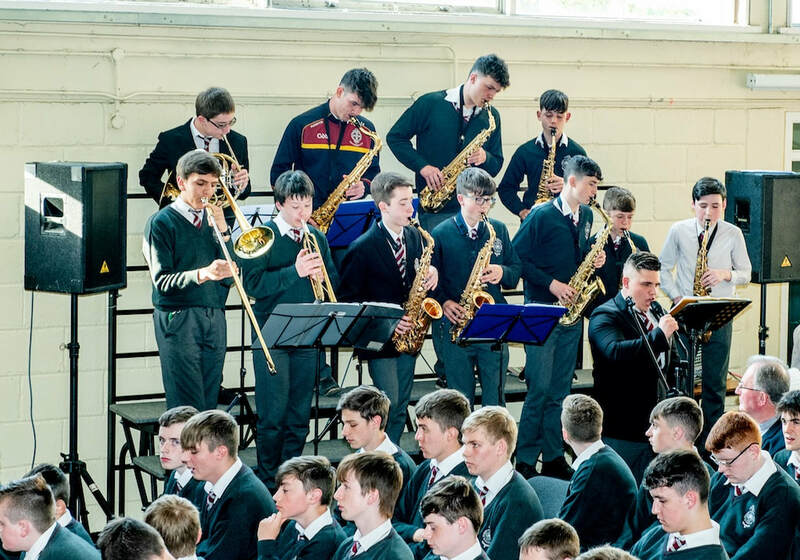 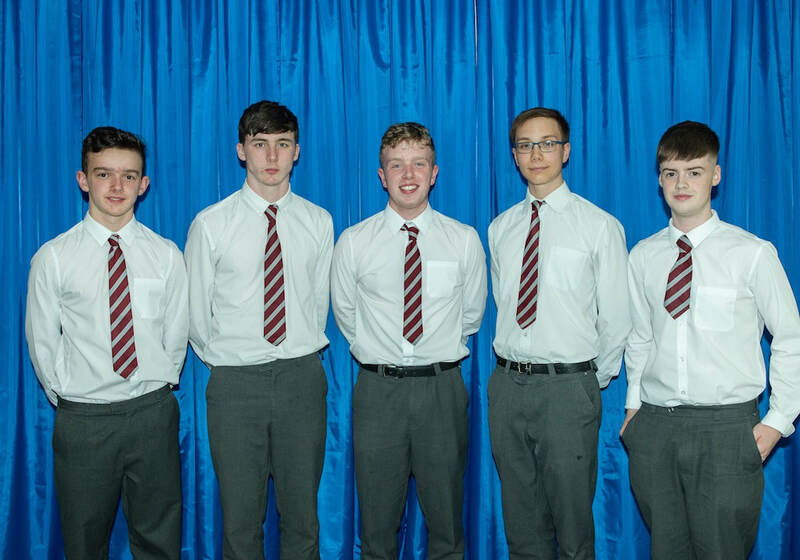 At the close of the evening Principal Tom Clarke announced the McFadden Medal nominees: Joe Sheehan, John Collins, Darragh Roberts, Bobby O'Mahony and Conor Heary. 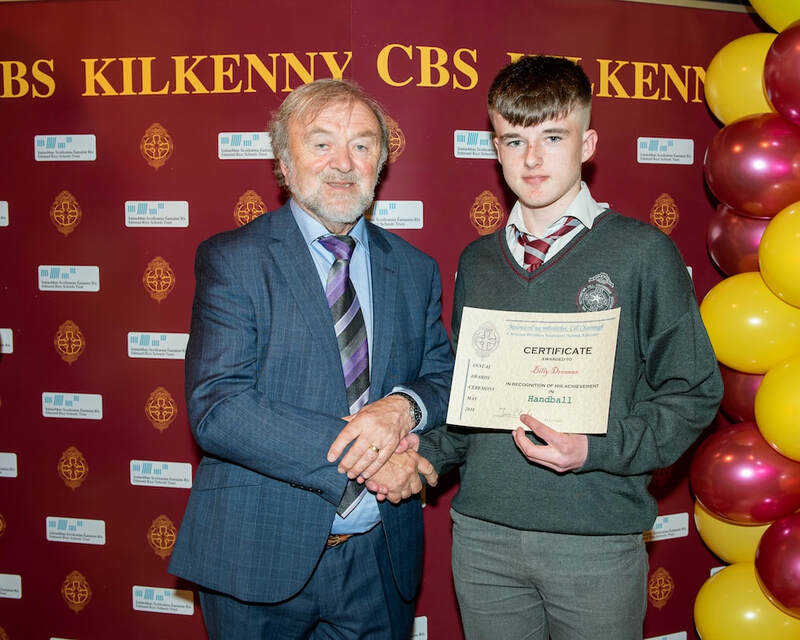 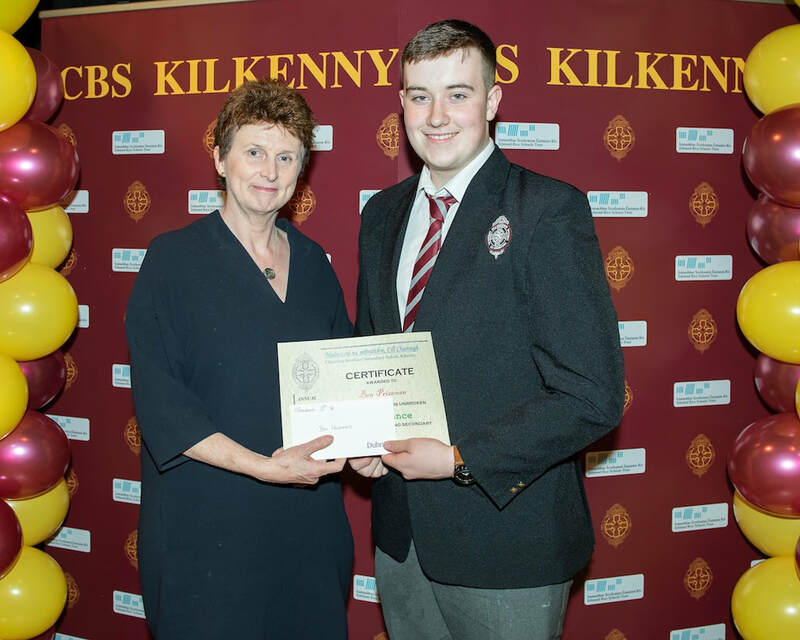 While all of the nominees were very deserving recipients, the final winner of this prestigious award was Joe Sheehan, a very popular, hardworking, courteous, considerate and clever young man. 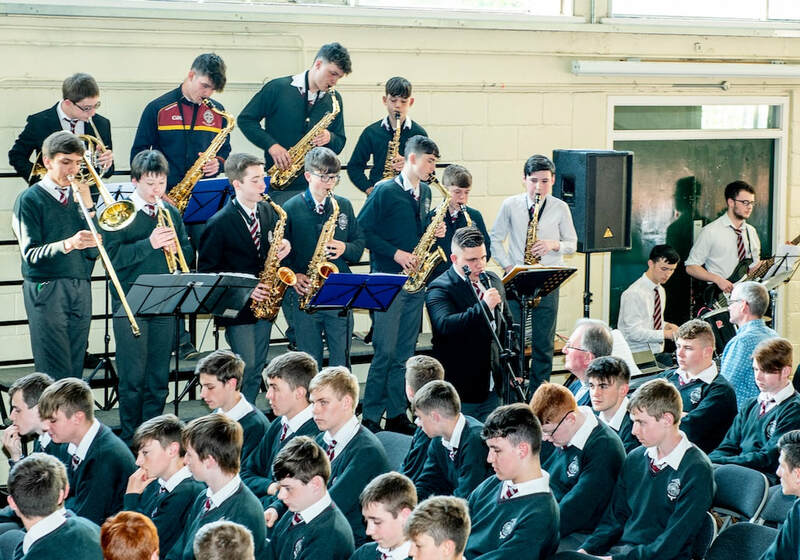 Thanks to our wonderful music department for adding so much to our celebration, and sincere thanks to the team of people working so hard behind the scenes to make the night such a superb celebration. 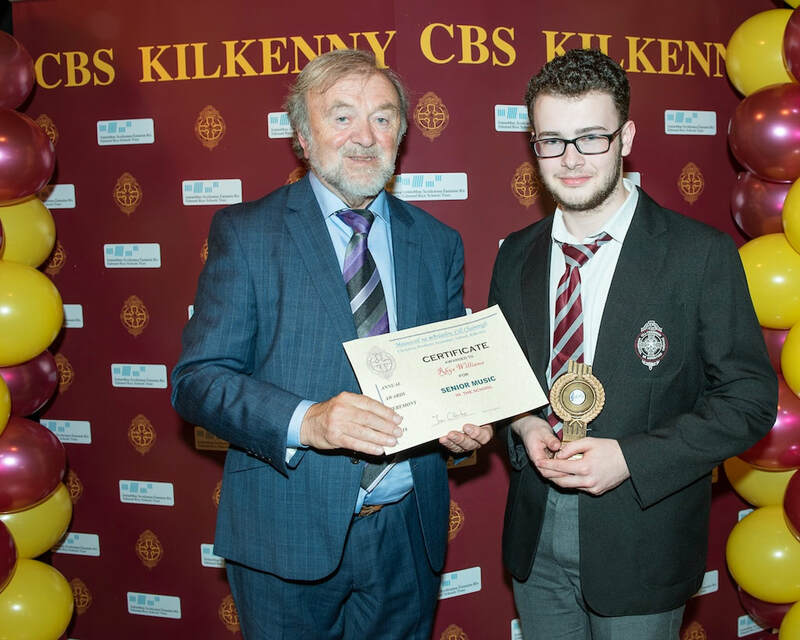 Many thanks to Terry Campion, photographer and former student of CBS Kilkenny, for his superb talent and organisation. 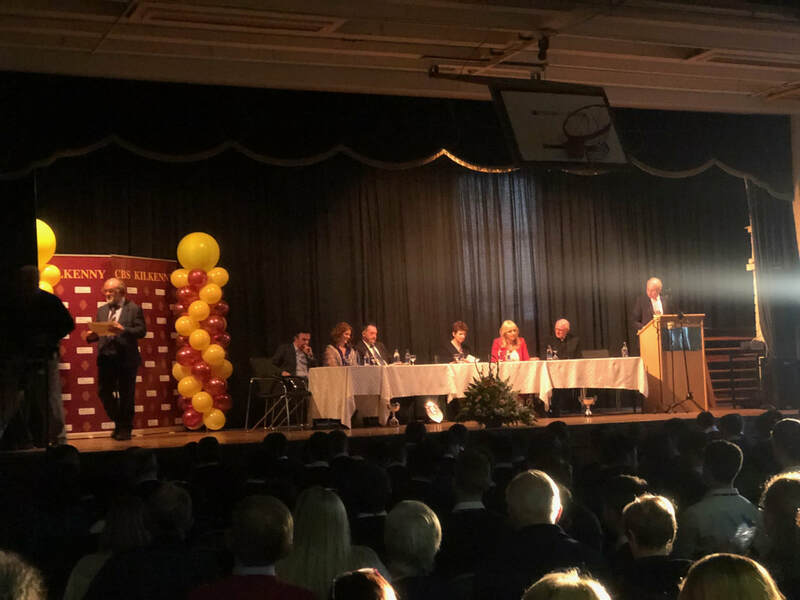 Representatives of the Board of Management, the Parents Council and the Past Pupils union welcomed Bishop Dermot Farrell and Miriam O'Callaghan. 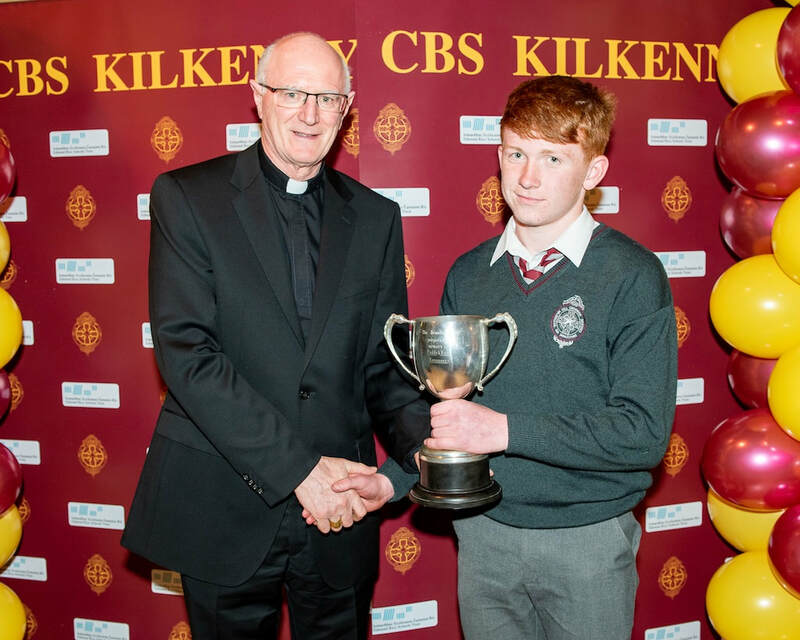 Gearóid Dunne accepts the Hennessy Perpetual Trophy for Juvenile Hurling from Bishop Farrell. 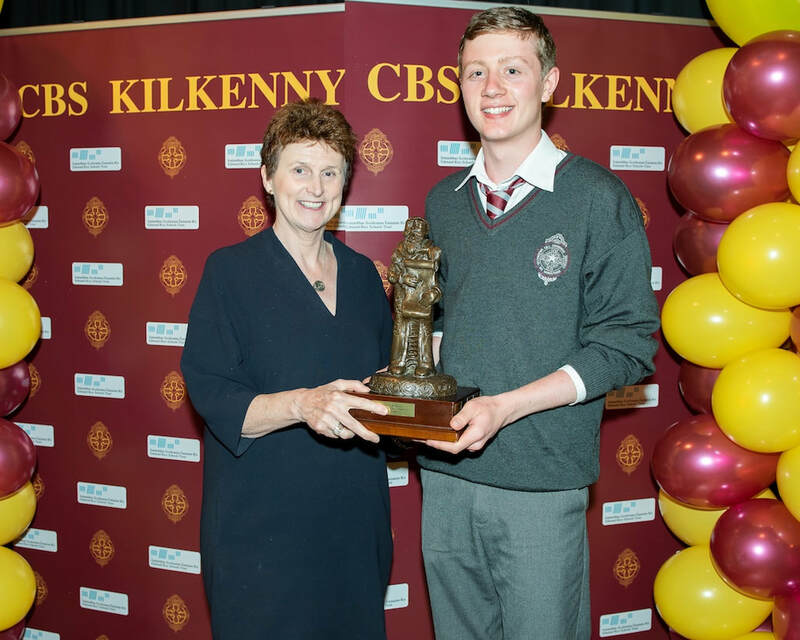 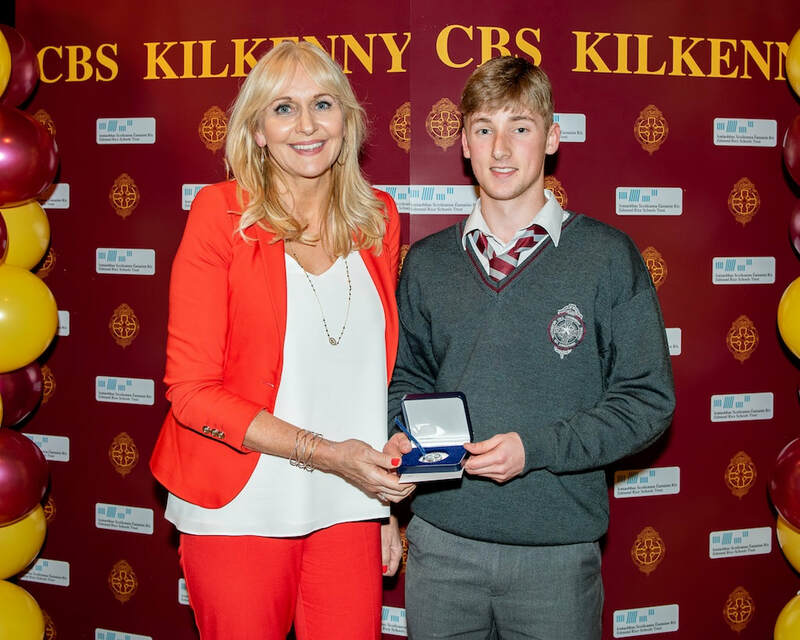 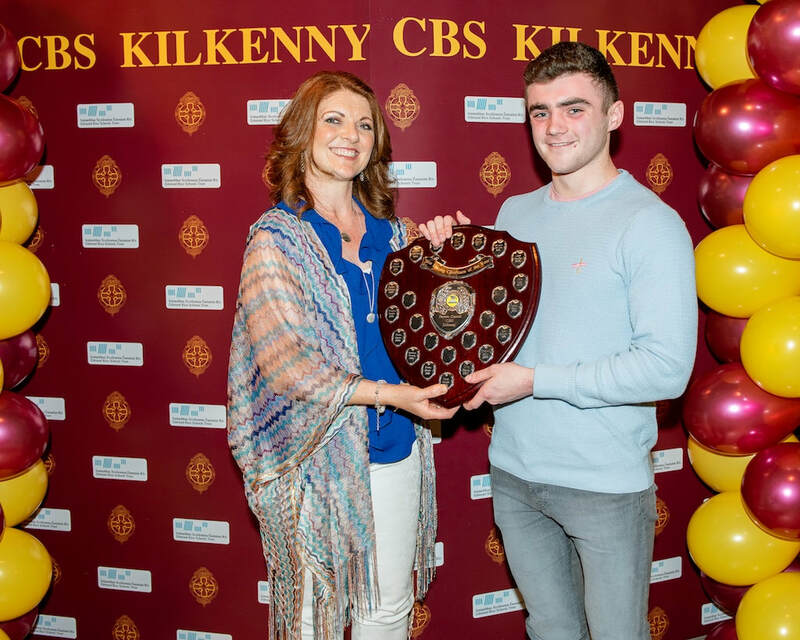 Ms Mairead McMorrow of the Board of Management presents Ciaran Phelan with the Dan Bryan History Award. 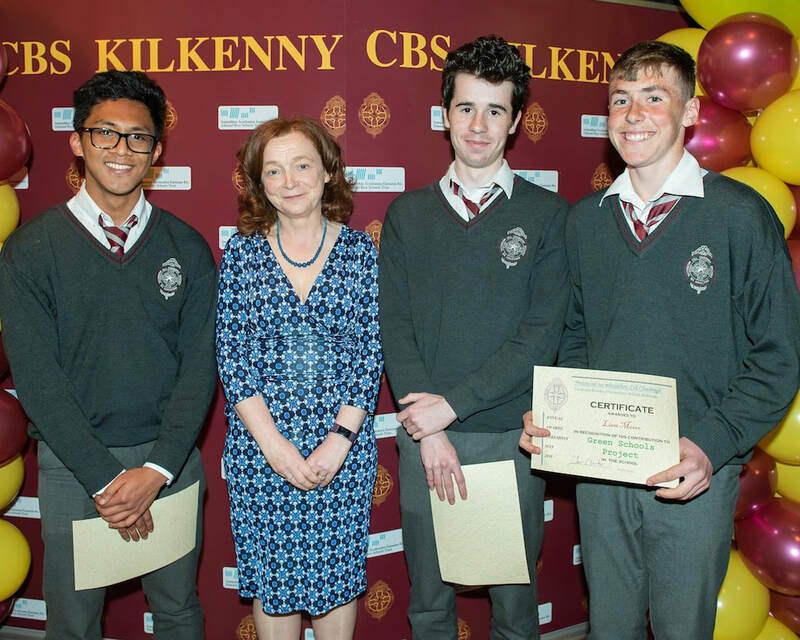 Ms Mairead McMorrow of the Board of Management congratulates Ian Morrisson, Liam Moore and John Patricio for their Green Schools work and for achieving our first Green Flag. 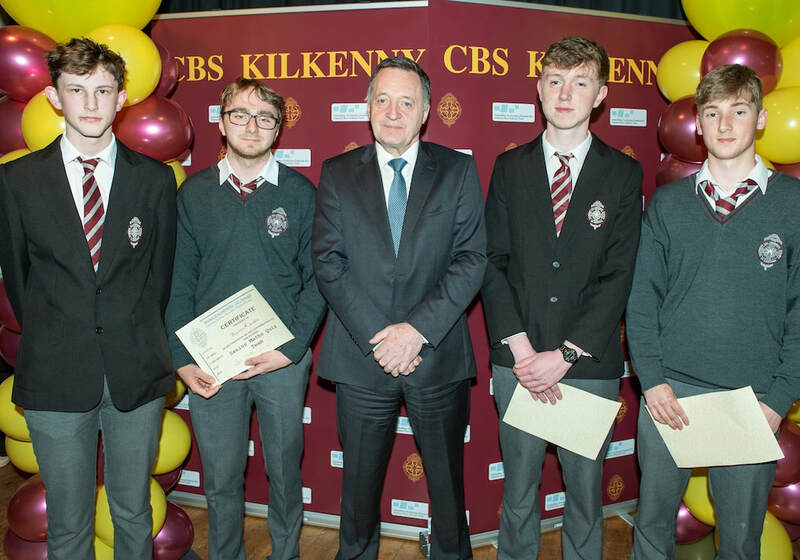 Tom Walsh of the Board of Management congratulates the Senior Applied Maths team, James Higgins, Szymon Karabin and Ben Prizeman on their award. 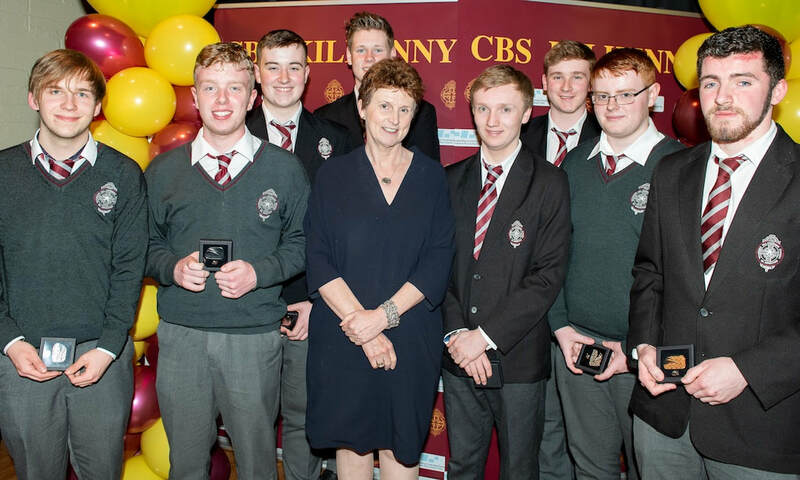 Tom Walsh of the Board of Management congratulates the Debating team, Conor McCarthy, Ultan Conroy, Oisin Morrissey and Andrew Stone and Eileen Dunne, mother of Colm RIP.